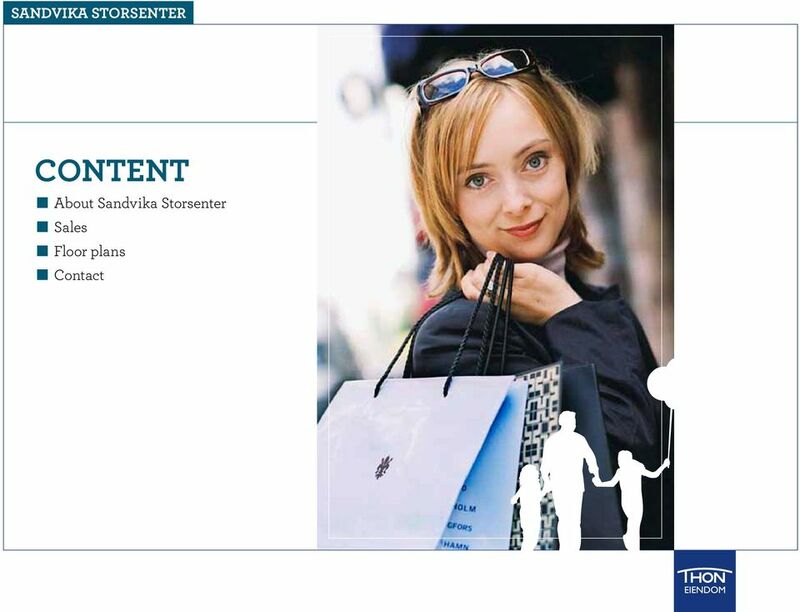 Download "Sandvika Storsenter. 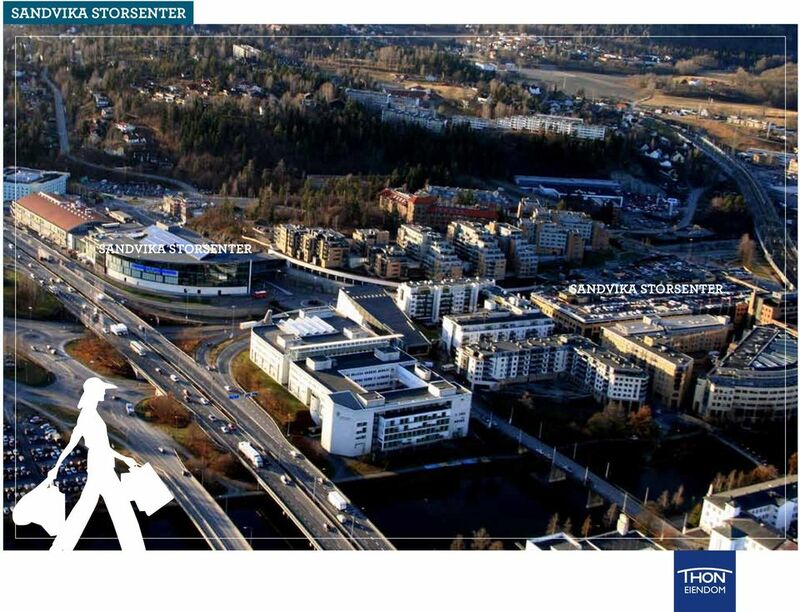 sandvika storsenter. 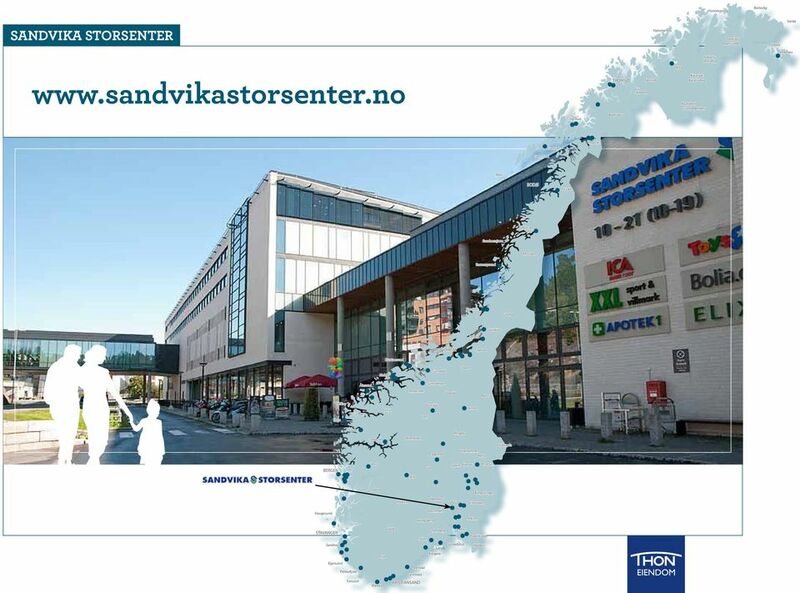 the largest shopping centre in norway"
3 about Sandvika Storsenter some of our shops FACTS An average of 25,600 visitors per day, 154,000 per week and 8 million per year. 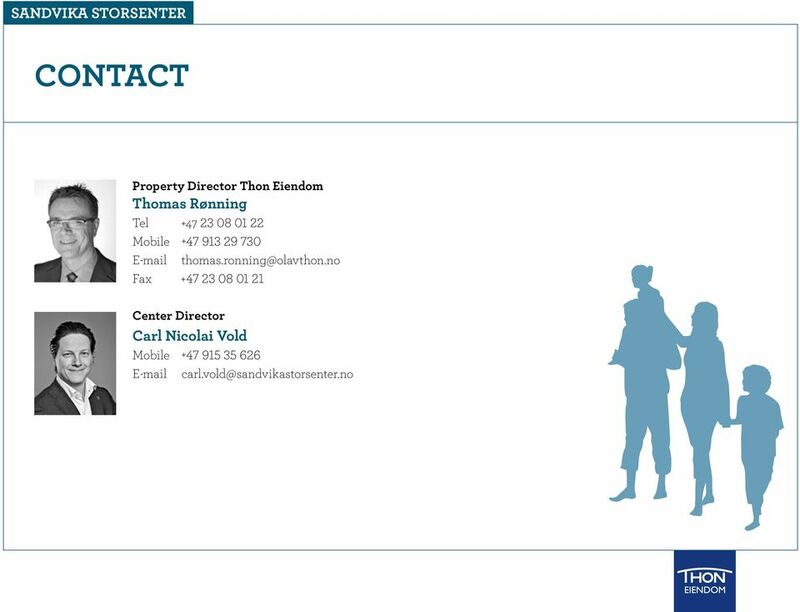 Total retail floor area of 55,000 m 2 2,500 parking spaces 191 tenants LOCATION Located in Sandvika in the municipality of Bærum, on the outskirts of Oslo. 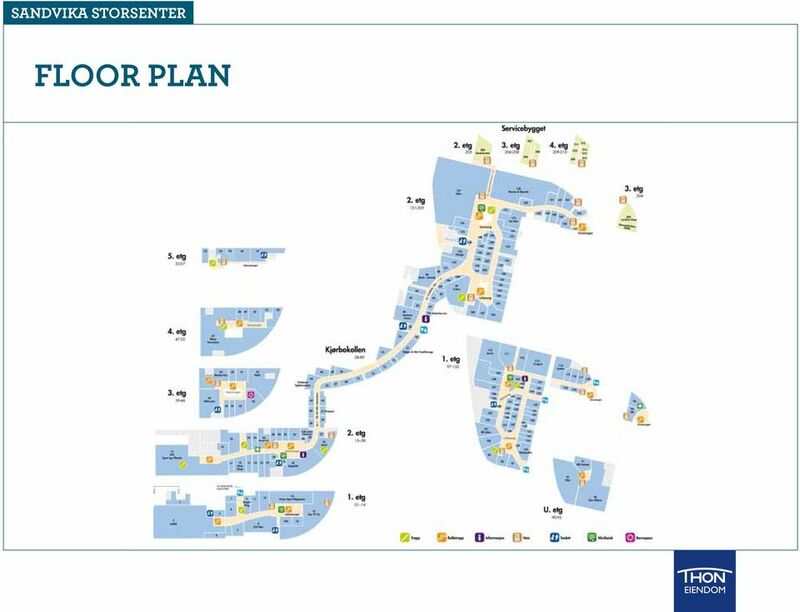 The centre is strategically located at the intersection of the E18 and E16 highways and the railway station. 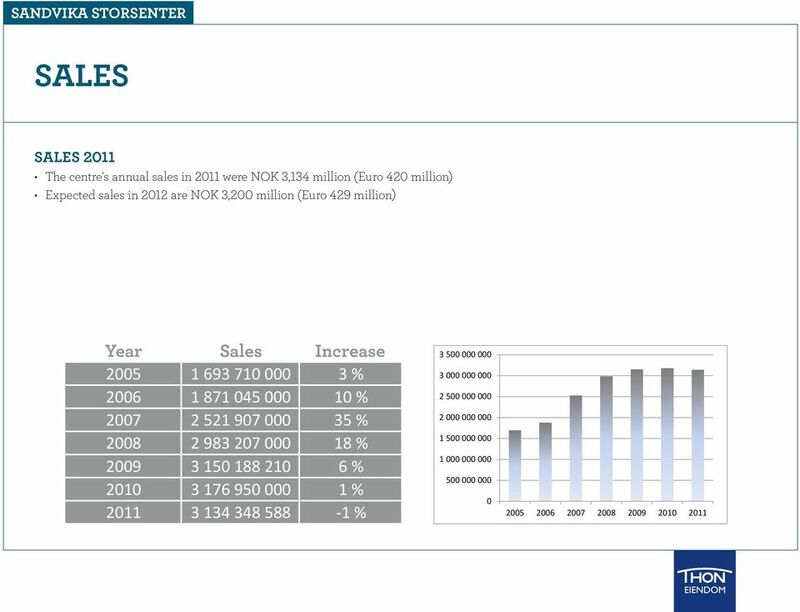 market Regional centre for the municipalities west of Oslo but also visitors from several areas in eastern Norway. 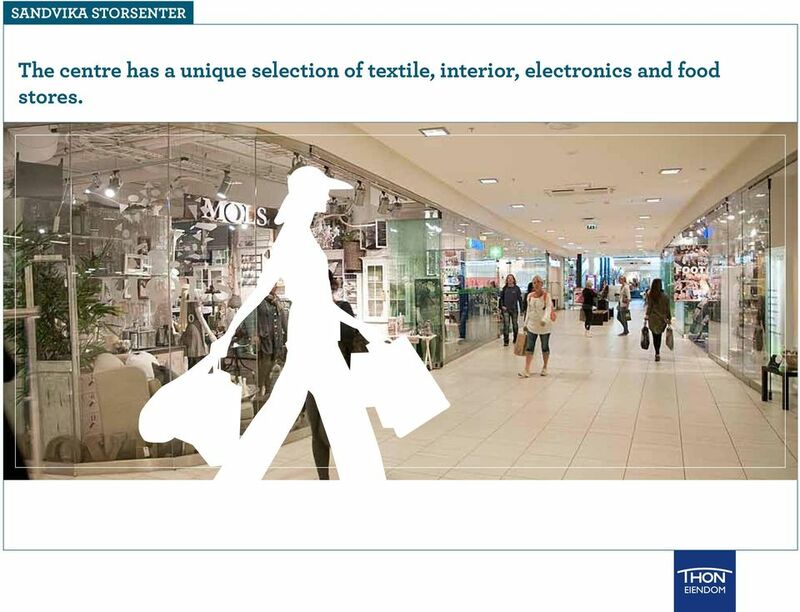 More than 800,000 consumers within these areas. 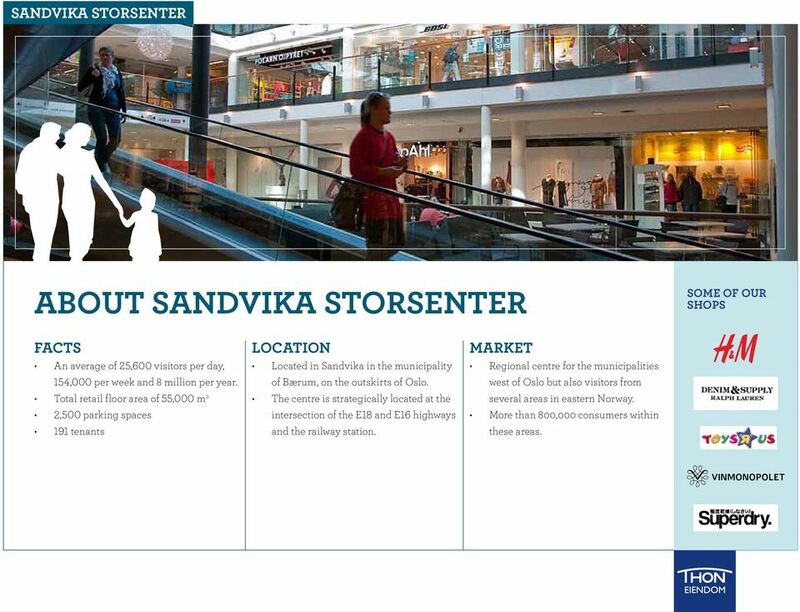 5 About sandvika storsenter our vision: sandvika storsenter will be the best shopping centre in the nordic area FACTS Sandvika Storsenter is the largest centre in Norway in terms of annual sales. The centre was built in 1993, and was extended in 1997 (5,000 m 2 ) and 2007 (25,000 m 2 ). 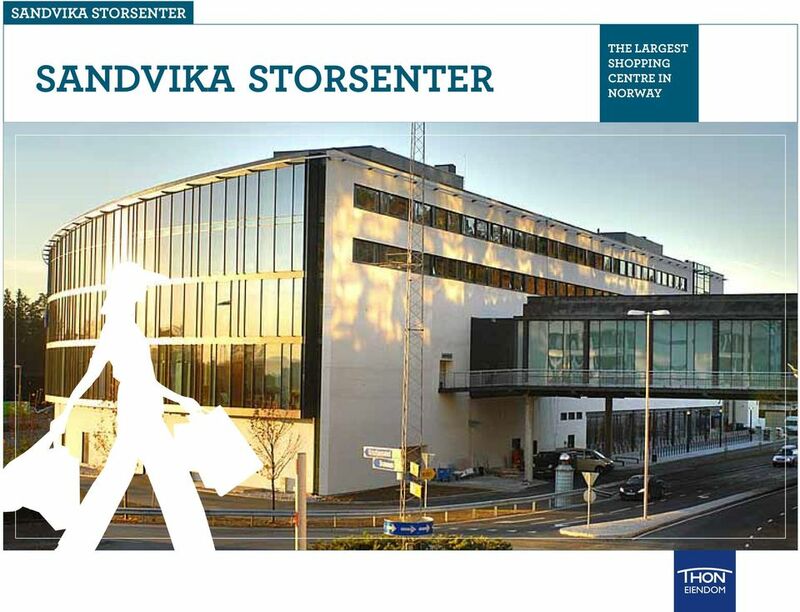 Sandvika Storsenter won the awards "Norwegian Shopping Center of the Year" and "Nordic Shopping Center of the Year" in 2010.